Sylvie's Best Friends Doggie Day CampRecord Owner? Log in. 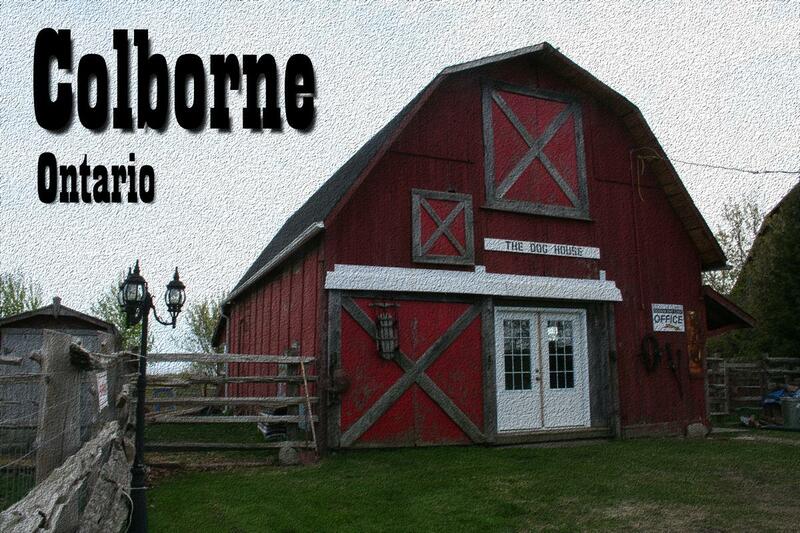 1.6 kilometers East of downtown Colborne. We are right across from Rutherford’s fruit market. Special hours can be accommodated but must be set up at time of booking Please no pick ups after 7:00pm. A $25.00 an hour extra charge will apply starting at 6 pm. Most days there is a minimum of 10 dogs to feed at meal time and this is a time that interruptions are very difficult so we do enforce our hours strongly. It is a 7 day a week 24 hour a day service and the dogs need to have some sort of routine. We serve breakfast before opening and serve dinner after closing. Meals can take a good hour. Then we still have to eat and relax ourselves. After dinner the dogs crash the late pick-up disrupts the whole pack. Bringing a dog in late is also very difficult. They struggle to relax and settle in. They often end up annoying the dogs that have been here all day and are tired. It is very hard to ask a new dog to settle when they arrive in a new environment and are surrounded by many other dogs. Screenings are done between 9-11 am & 1-3 pm and you must have an appointment. Different times can be arranged when necessary. Please remember the service we provide and our best interest is in yours and our Best Friends (the dogs). Have something to say about Sylvie's Best Friends Doggie Day Camp? Absolutely the best place to take your dog ! The staff is great with the dogs. My stella comes home tired from playing. You know it's a good place when your dog gets so excited in the morning because she knows she's going to Sylvie's Barn!! My pup Ollie, a golden retriever has been going to doggie camp since he was 6 months he is now 6. He spends 4 days a week there and he loves it!! They are free to run and play, and the owner Sylvie is like a dog whisperer, she is a little ting woman but the dogs love her!! I love my dog like he is my child and I would not trust anyone to look after my boy but Sylvie.. if you are looking for somewhere clean, safe, friendly this is the place!